You’ve been warned, Baby A! Baby A, you’ve been warned! You have until 8:00 a.m. on October 23, 2014 to make a move or we will make one for you! In some ways, poor kid, it’s nice and cozy and you’re happy in there, aren’t you? But in other ways, woohoo! We are so excited to meet you tomorrow (or Friday…depending how long labor takes)! Keep your fingers crossed for us. We received our own warning at our doctor’s appointment today that the hospital is particularly busy right now and there’s a chance that we could be called and told to wait longer. But let’s focus on the excitement that tomorrow’s the day and the next time we update we’ll have a baby! Physically, I’ve felt really great in weeks 40 and 41. I’ve done some cleaning and walking and baking and some standing on my feet, but I’ve spent a whole lot more time resting. My hip isn’t sore anymore and I don’t waddle when I walk anymore. In fact, I skipped from the living room to the kitchen the other night. 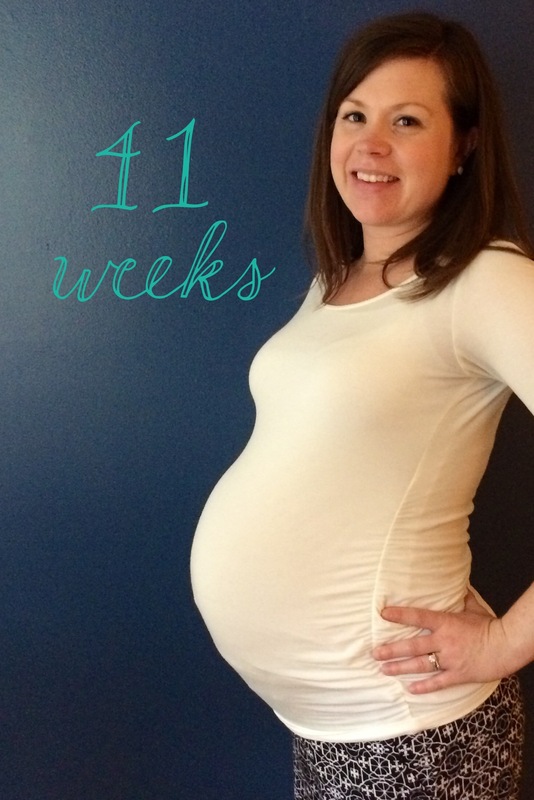 Sean and I were amazed that a 41 week pregnant lady could pull off skipping. I might have had one contraction this past weekend. It’s hard to say which could be a good indication that it wasn’t a real contraction. I’ve also had less cramps these last two weeks than in the previous weeks. In many ways it’s great that my symptoms have subsided, but Sean and I have our own theory that my body has just gotten used to the baby growing in my belly and that’s no good. 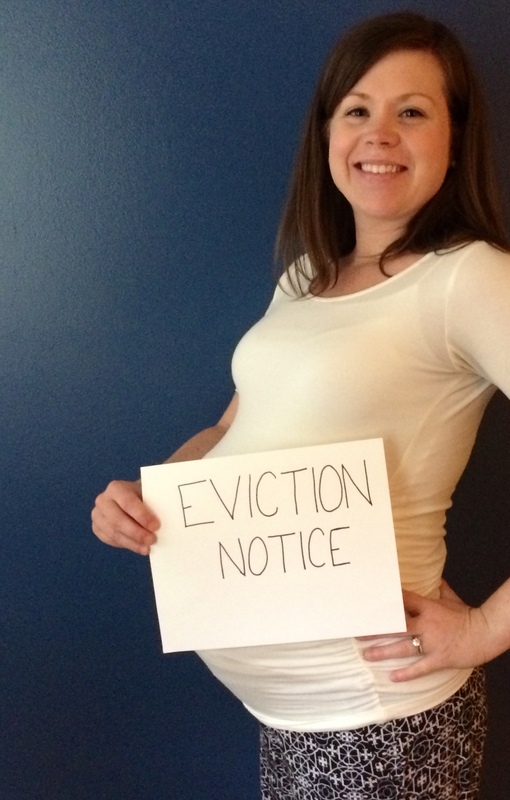 So tomorrow’s eviction is very necessary!